This guide contains instructions on how to install an SSL certificate on SonicWall VPN client. It also includes information on how to generate a CSR code on SonicWALL for those who haven’t purchased an SSL product yet. The guide concludes with a brief history of SonicWall, and useful tips on where to buy an SSL Certificate for SonicWall. 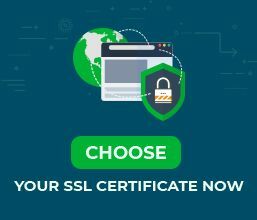 Where to buy an SSL Certificate for SonicWall? CSR generation is a required step during the SSL activation. CSR stands for Certificate Signing Request, a small text file containing all the necessary information about domain ownership and organization to which the SSL certificate will be assigned. We’re going to generate the CSR code directly on the SonicWall SSL-VPN appliance. 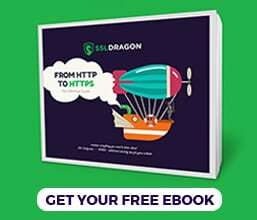 Then you will send it to your Certificate Authority during your SSL order process, and, in turn, your SSL provider will sing your certificate and provide the installation files. Note: If you have a Wildcard certificate, please include an asterisk in front of the domain name, like this: *.yourdomain.com. Make sure your domain points to the SonicWall SSL-VPN appliance’s public IP address. Now, you can see the CSR code you’ve just generated. You will need to copy the full text including the —–BEGIN CERTIFICATE REQUEST—– and —–END CERTIFICATE REQUEST—– tags, and send it to the CA during your order process. Hint: Use the ctrl+a hotkey to select the entire text. That’s it! Once the CA signs and sends your certificate files you can continue with the SSL installation. Note: The file with .ca-bundle extension contains your root and intermediate certificates. While uploading them is optional, older browser versions may not trust your SSL certificate unless you provide the CA bundle file. Congratulations! You’ve successfully installed the SSL Certificate on SonicWall SSL-VPN appliance. SonicWall is a major seller of Internet appliances designed for content control and network security. SonicWall’s products range from firewalls, VPNs, and wireless security to spyware and malware prevention solutions. Initially, SonicWall was “Sonic Systems”, a company developing Ethernet and Fast Ethernet cards, hubs and bridges for the Apple market. In the late nineties, Sonic Systems launched a firewall and VPN product, named “Interpol” and later branded “SonicWall”. The sales went to the roof, and the company left the Apple market to focus solely on network security. The change of name from Sonic Systems to SonicWall occurred in 1999. If you don’t know what certificate to choose, or struggling to decide on the ideal product, our exclusive SSL Wizard and Advanced Certificate Filter tools will make your search a breeze.